Panjab University Recruitment 2019 - Job notification for Project Intern Posts on a project entitled “Medical Devices & Restorative Technologies" in Panjab University, Chandigarh. 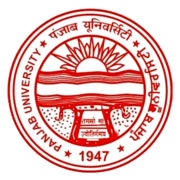 Applications are invited by Panjab University, Chandigarh on or before 29 Apr 2019 for 5 vacancies. B.E/B.tech (up to 3rd Sem onwards. “Medical Devices & Restorative Technologies"
Photograph duly pasted on the application form. Self-Attested copies of Certificate in support of age, education qualifications (mark sheet & Certificates of class X and above). Panjab University Recruitment 2019 - Job notification for JRF Post on a project entitled “Exploring forensic applications of Foldscope in Crime scene Investigation” in Panjab University, Chandigarh, Punjab/Haryana on Temporary on Co-terminus Basis. Applications are invited by Panjab University, Chandigarh on or before 26 Apr 2019 05:00 PM for 1 vacancy.